2. Tension: this stage involves tension. 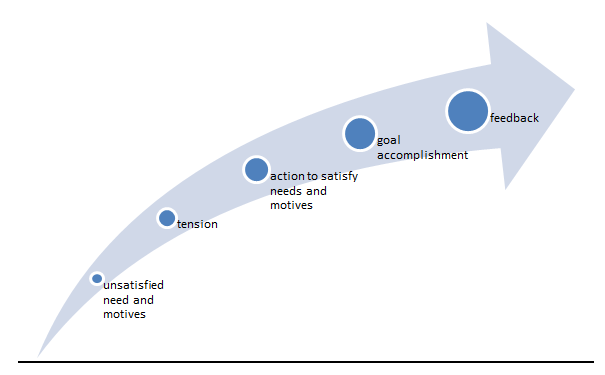 Unsatisfied needs create tension in the individual. Such tension can be physical, psychological, and sociological. In this situation, people try to develop objects that will satisfy their needs. 4. Goal accomplishment: this stage involves goal accomplishment. Action to satisfy needs and motives accomplishes goals. It can be achieves through reward and punishment. When actions are carried out as per the tensions, then people are rewarded others are punished. Ultimately goals are accomplished.